So I got myself organised and headed off to the clinic for my 7:45am appointment. I said to the ultrasound technician that I was attempting the OPKs at home, and was interested to see if I was reading the results right. She then asked me (while she was wiggling the wand around inside, looking at my ovaries) if the nurse was waiting for a dominant follicle, or to see if I had already ovulated. I told her that they were hoping to see a dominant follicle of 14 or above before I began blood tests. The technician then said it looks like I may have already ovulated, as she could see where the egg was likely to have been released from. She told me that I should go and have a blood test, so they can compare the results and have confirmation of this. After the vampire attack, I drove home and thought to myself that I've learned SO much about my body patterns since going through all these treatments! I recalled that last night I was experiencing some cramping in my right ovary. So I suppose I can tell when I ovulate. Ha! Here's a peak at my BBT chart, which is also indicating that I'm having the sharp rise in basal body temperature which is what's supposed to happen after ovulation. I'm glad that it looks like my body is behaving itself, and following procedure. It also means that I may have just passed test number one of possible reasons why they could cancel this cycle (if I didn't ovulate, it'd be cancelled). The clinic said they will call later today to let me know the next step! Now I'm freaking out. I didn't get to see the dominant follicle progress beyond 9mm, and they didn't do a blood test on Thursday. I didn't realise that they could cancel a cycle if they can't pinpoint the exact moment of ovulation (that wasn't explained at all by my nurse). I'll just have to wait and see what they say when they call with my results today.... Hubby just shrugged the whole thing off and said it's better to wait another month and get it right, rather than having the timing wrong and facing another failure. UGH!!! I'm sorry I didn't mean to freak you out. I think you will be fine. I was the same as you, when I suspected I may be ovulating on the Wednesday (day 8) I thought oh i see them on Friday (day 10) for a scan and if I have ovulated then that should be ok as they want to put it in after ovulation anyway. But then when the trainee guy scanned me on Friday, he said the follicle wasn't big enough & that I'm not ready to ovulate yet & to come back on Monday. I'm not sure what the size was, maybe 12mm. So I go back on Monday and my normal specialist scans me and says theres no sign of me ovulating and he isnt sure when I will ovulate. When I told him that was strange for what I am usually like and that I suspected maybe I could have ovulated earlier as I saw CM, so he said hmm I think you might have went early and sent me off for a test. He then rang to say it was too far past ovulation!! If I had known it was so critical to pin point it I would have been doing the opks from the start. I can't help but think if the trainee guy knew his stuff that Friday was probably the day it needed to be done, but he sent me away. The difference between you and me would be that I needed to have mine put back in day 2 or 3, where as yours are 5 days. So I think you will be fine. Leigh, the exact thing that happened to you, has just happened to me. 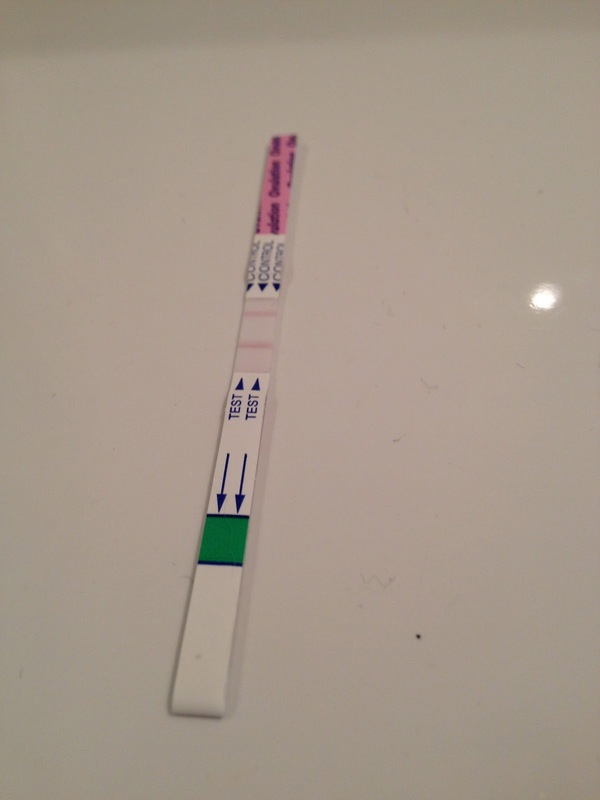 I ovulated on CD10!! It's so ridiculous it's actually funny. Thanks for your comments and support. We can cheer each other on next month! Waiting to see what the next step is! LOL, when I first read your post, I thought it was bad news that you had already ovulated. But then I realized you're doing a natural cycle. Whew! Yay for ovulation! I'm praying for you that timing is spot on for this cycle.